Steiff EAN 241321 Iggy polar bear music box Soft Cuddly Friends, 13cm. 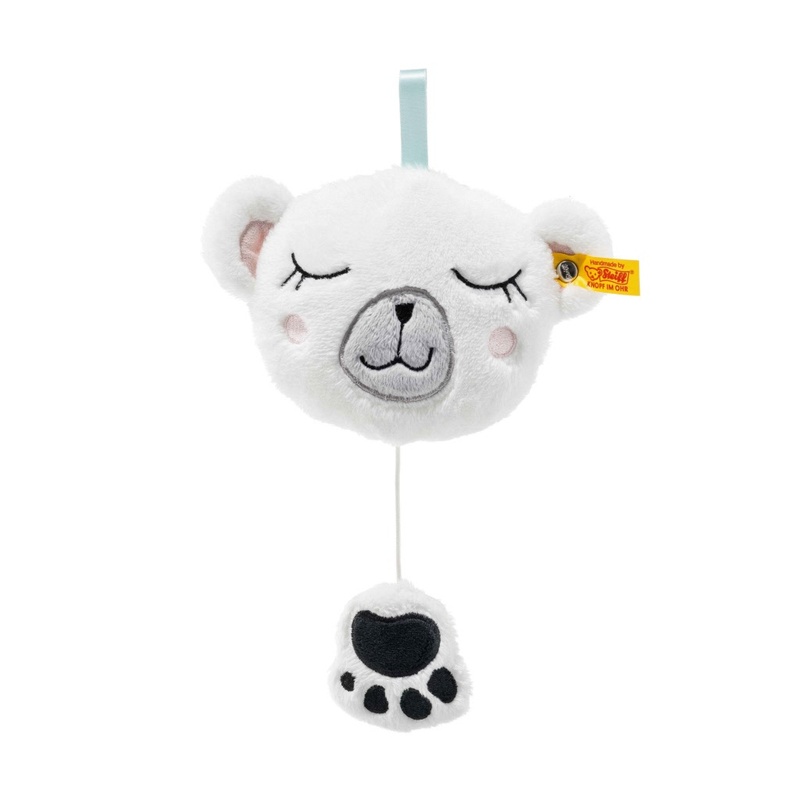 Iggi Polar bear music box gives warmth, comfort and fun. It's a wonderful present for a newly born and on many other occasions. It is made out of white with multicoloured plush for baby-soft skin and stuffed with synthetic filling material. The baby collection has embroidered eyes and nose and is machine washable at 30° C (without the music box). It is with CE mark and stainless steel "Button in Ear"